Almost 100 years after disappearing from a major portion of its native romping grounds, one of North America's most iconic species is finally back where it belongs. Biologists from the California Department of Fish and Wildlife confirmed this week that the state is once again home to a pack of endangered gray wolves. The healthy family, made up of two adults and five adorable pups, was spotted on trail cameras earlier this year - the first-ever sighting since the species was extirpated in the early 1920s. "This news is exciting for California," CDFW Director Charlton H. Bonham said in a statement. 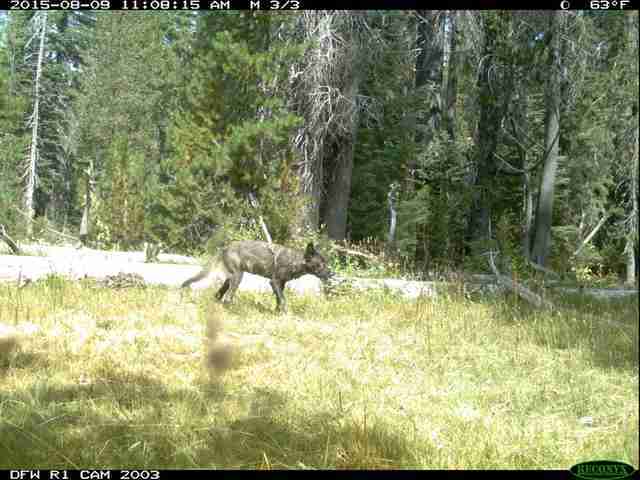 "We knew wolves would eventually return home to the state and it appears now is the time." Gray wolves once roamed throughout the western United States, but were driven to near-extinction in the early part of the last century by hunters and ranchers who considered them problem predators. It wasn't until the 1990s, when a small number of gray wolves were reintroduced into Yellowstone National Park, that the species began to regain a foothold in the region, establishing populations in states where wolves hadn't been seen in decades. 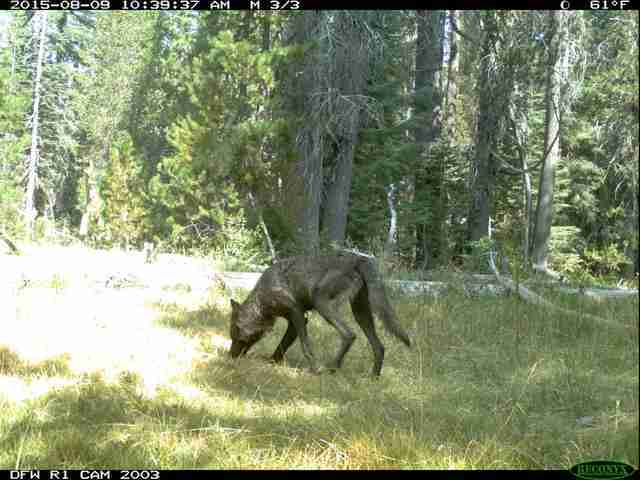 In 2011, a lone gray wolf became the first to enter California in 90 years, but he didn't stay long. Since then, however, wildlife officials had been awaiting the establishment of a permanent pack within state borders - furthering what some have deemed "the latest chapter to one of the world's greatest biological success stories." 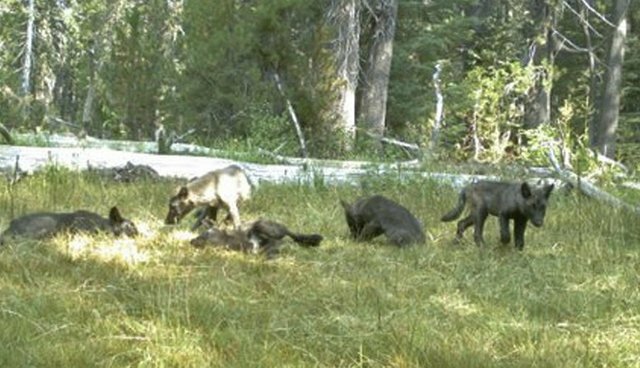 Fortunately for the newly-settled gray wolf family, dubbed the "Shasta Pack," attitudes toward their kind are much more welcoming than they were before. Just last year, in anticipation of the eventual return, California voted to grant gray wolves special protections under the Endangered Species Act, making it a crime to do them any harm. Visit the Center for Biological Diversity to learn how you can help in gray wolves' recovery.